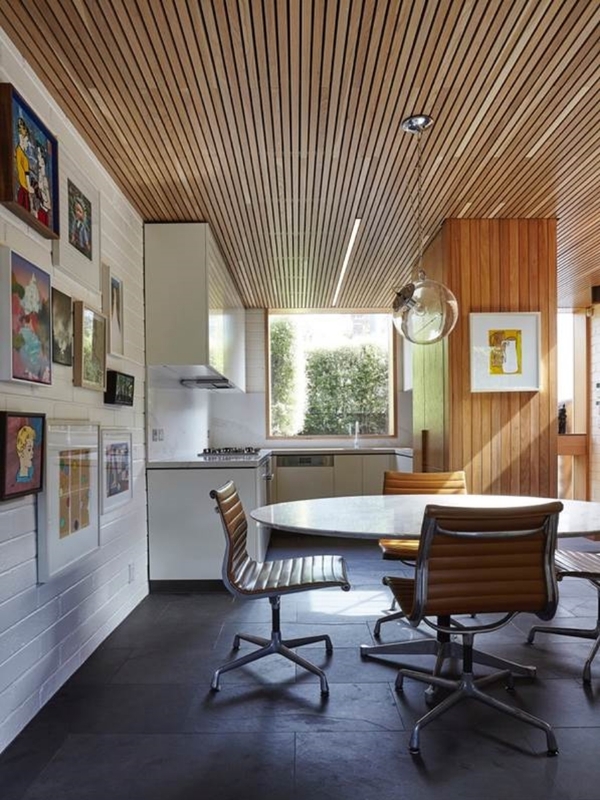 The client had a clear vision for the space that included the fine-detailing commonly found in Modernist homes. 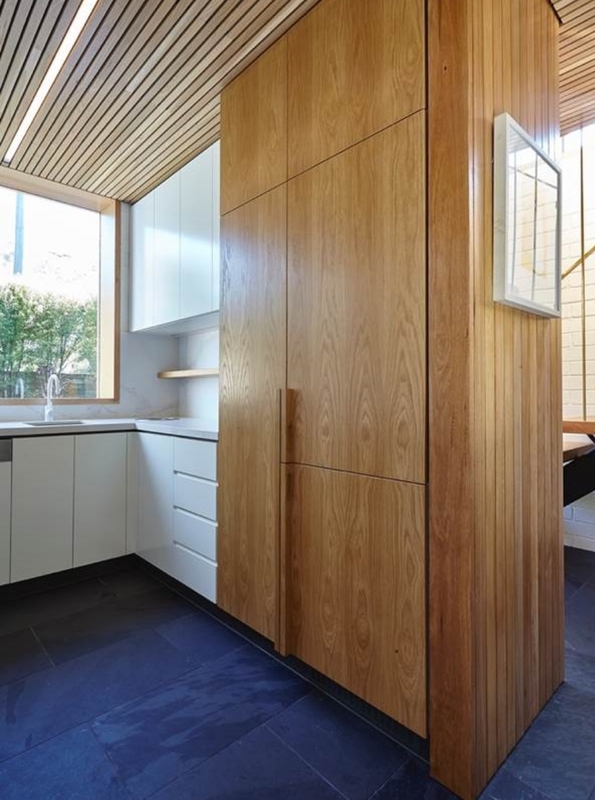 Having worked with Thomas McKenzie on two previous projects, a close dialogue on detail had been developed and this resulted in resolved joinery that worked seamlessly with the overall design of the house. A project highlight in this kitchen was the American Oak pantry doors. FSC certified timber, low-VOC paints, double-glazing, LED lighting and energy efficient fixtures and fittings. robust materials including a slate floor, painted brick walls, timber window frames and Silvertop ash timber lining boards.